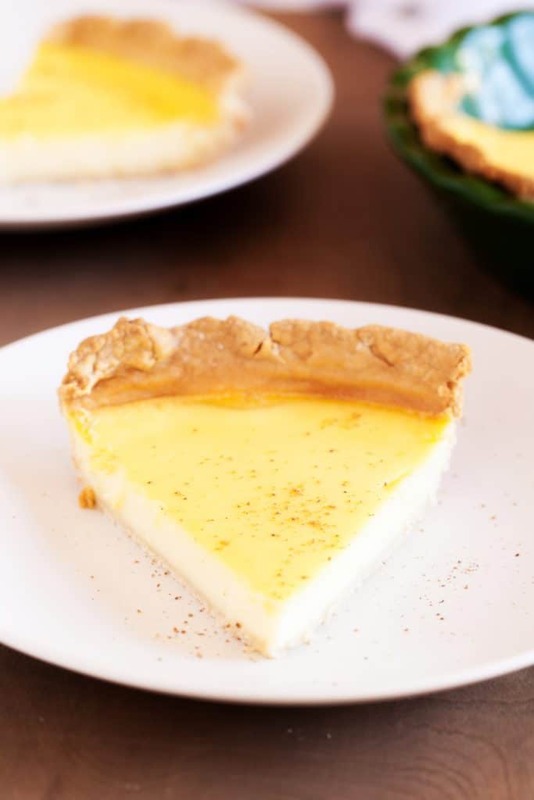 Amish Custard Pie is a silky smooth and utterly delightful treat after a heavy dinner. Baked in my Amish Never Fail Pie Crust, this pie is completely addicting and one slice is never enough. Love desserts? Don’t miss my Piggy Pie Dessert or Blueberry Galette Dessert! The perfect combination of milk, eggs, sugar, and nutmeg, no one will know how easy it was to prepare. The primary ingredients are so simple. You probably have them in your pantry right now. That is the best part, you never want dessert making to be hard work:) You will be amazed at how easy it truly is to make a beautiful and delicious pie from scratch. I love when impressive and delicious dishes are simple to make. ‘Cold weather, warm weather, this pie holds no boundaries. It is a perfectly light pie, great for any time of year. 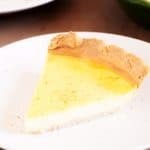 You seriously won’t be able to get over how the ingredients for this Amish Custard pie are deceptively easy… one of the beautiful things about Amish recipes. I know you will be delighted with the decadent results! You can serve it up warm or cold. But you will want to let it cool completely before slicing into it. If you want a warm slice, you’ll just need to heat it up for a few seconds before serving. Start with a preheated oven, and a 9 ½-inch pie dish lined with the unbaked Amish Never Fail Pie Crust. In a large bowl, whisk together the sugar, flour, eggs, salt, and vanilla. In a small sauce pan, heat the milk over medium heat until just beginning to boil. Add the hot milk, one ladle at a time, to the egg mixture, stirring in between each addition. Pour the mixture through a strainer and into the unbaked crust. Sprinkle with nutmeg and bake for 45 to 50 minutes, until the center is set. TIP: Do not over-bake. The pie should still be a little “giggly”. 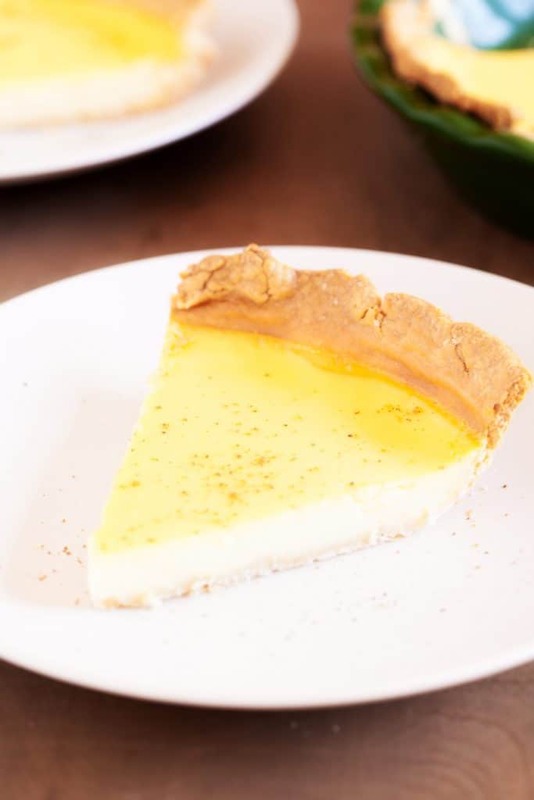 Silky smooth Amish Custard Pie is a delightful treat after a heavy dinner. Baked in my Amish Never Fail Pie Crust, this pie is completely addicting and one slice is never enough. Move the oven rack to the bottom position and preheat oven to 350°F. Line a 9 ½-inch pie dish with the Amish Never Fail Pie Crust. 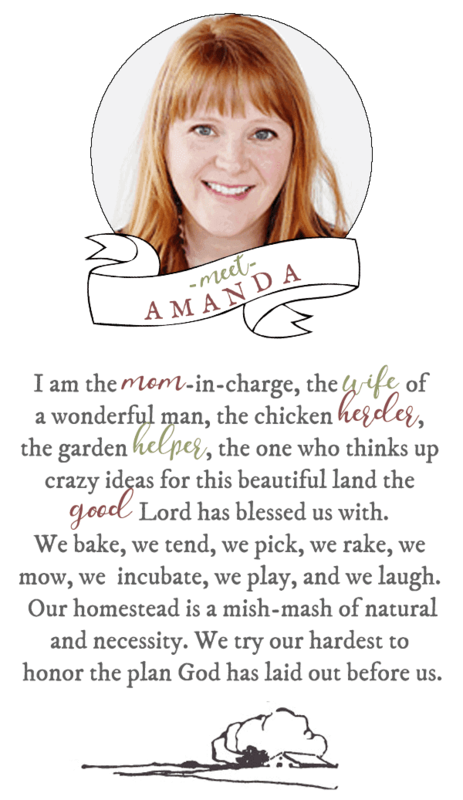 DID YOU MAKE Amish Custard Pie? Recipe adapted from Just a Pinch Recipe Club. Photography by The PKP Way. Have you ever frozen this? If so how well did it do? My hens are laying overtime and my goats are milking an obscene amount trying to figure out ways to use it up and this sounded good to possibly have the the freezer for company. I really can’t judge on this particular recipe, but as a rule, custard pies don’t freeze well, there is some separation. I found this on line about freezing eggs. Maybe that would work for you. As far as the milk goes, how about making goat cheese or goats milk fudge. Good luck with your abundance! Can u make this gluten free on the crust .I do custard in oven now with the crust . Pillsbury makes a gluten free flour that’s great for pastry. I found it at Walmart. It works for all kinds of baking. I was told Pillsbury discontinued the gf crust and it was fabulous. Anyone heard this? What about the flour that thickens the custard itself? It has GLUTEN! Would this be any good with a gluten-free substitute for the flour such as cornstarch or rice flour?? Maybe, but methinks not, lol.???? How about xanthan gum powder instead of cornstarch? Add to cold milk before cooking. Also, using coconut flour for the ap flour will give your custard a subtle hint of coconut. How about coconut flour and coconut oil? Would impart a wonderful flavor. Good luck! I never can get my custard to “set” any ideas on what I could be doing wrong? Please help my man loves a good custard! Thank you! Why do you have to strain it before you pour it into pie crust? To remove any lumps. The eggs can cook if the milk if to hot, or not stirred completely. Strain it through a fine sieve to make sure there aren’t any small pieces of scrambled egg or flour lumps, or lumps of any kind. My guess would be to get out any albumen that may not have been mixed in. I hate stringy albumen and take it out of anything I’m making like scrambled eggs! Would love to have pie crust receive. My mother in law gave me this recipe back in the 80’s and I have used it ever since….can’t go wrong. With any leftovers I just put them in a zip lock bag and freeze to use the next time I make pie! This is a lot like my old recipe for crust and it is wonderful!! In the article there is a link for the pie crust recipe. It is just a little up from all the pictures and before the comments. It is on a line by itself : Amish Never Fail Pie Crust Recipe. If you go back up to that you can click it and it will take you right to the recipe. Click on link after recipe and directly after ad for pie crust recipe. Would love pie crust recipe please and thank you! Could I use Half & Half instead of milk in this pie? I would love to double the custard in this recipe! Would that be ok? Also, would you place the pie on the lower third of the oven to make sure the bottom browns? I’m looking forward to trying this recipe! If I wanted to double the custard portion of the recipe for a thicker pie, how long would i need to bake it? Eggs can be frozen…break the yolk. Mix them in little bags or containers oil you need them. Say four a bag. Custard pie, I make pumpkin custard from Hubbard squash, and freeze it once baked all the time. I imagine adding coconut would be a good addition. Can you bake this custard in a dish without the pie crust? I love custard, just by it self. I have ordered custard in resturants before, alone, jut in custard cups, so can you do this recipe in custard cups and bake? If so, about how long? and if not Does anyone have a good “Custard Cup” Recipe? my bottom crusts always come out soggy, even when putting pie in lowest rack. Hate that.